Based in Horley, FBF can provide all your printing and promotional needs. These are just of the services we offer. FBF are not printers, we manage print and design for our clients. FBF buy print at special rates and are able to offer high quality print services at very competitive rates. FBF always match jobs to the most suitable printer or printers with the right equipment for the job. We will even arrange the mailing. The result is, cheap pricing, but without any reduction in quality. Find out how we can offer you high quality printing and design management services at such cheap rates. Call 01293 432175 today and speak to someone in person. 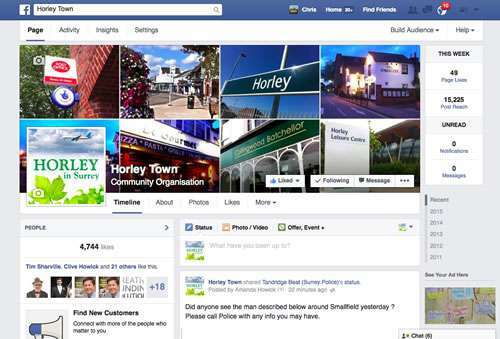 FBF is based in the South East in Horley on the Surrey and Sussex border, close to Crawley and London Gatwick airport. We supply print and graphic design for clients all over the UK and Ireland. Call us now on 01293 432175 or visit the FBF website to see the full range of our services.